“di main aapko kabhi kuch nahi hone dunga“.. He promised di nothing bad would happen. One hand held the steering wheel steady and the other ran through his hair. The white SUV coruscated against the blazing sun. The occupants inside had not said anything out loud since they had sat inside. The horn blared, jarring, insistent, as the car cut sharply to the left. The driver was quite clearly impatient. A bright red chunari with golden gota was tied to the mirror. It flapped with a frantic intensity, due to the veering motion of the car. Ostentatious and conspicuously out of place, in the otherwise sleek, urbanely male interior of the car, it remained. “chup karo chote.. Humein ye devi maiyya ki chunari tumhari gari mein lagane do. Otherwise I will stop talking to you..“.. di’s eyes had twinkled as she delivered that threat. Arnav Singh Raizada had no idea where Shyam might have taken Anjali. From the time Khushi’s dad had spoken, an added sense of urgency weighed upon ASR. A desperation had entered his search to get to di. Beside him, his usually garrulous companion was silent too. 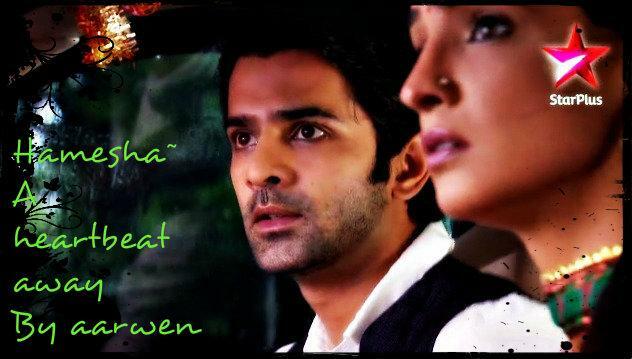 Her vividly colorful lime green and periwinkle kurti had shiny stuff too, ASR took note. Khushi Kumari Gupta always had some shiny stuff somewhere around her. She was chewing her lip, her hand stretched out to grip the dashboard. “aaj bhi humein tez gari se dar lagta hai“. He had been attempting to apologize when she had spilled this secret. He remembered. ASR lifted his foot a fraction off the accelerator. “don’t slow down Arnavji. hum thik hain“, her lips were pressed together in resolve. He gave a sharp nod, and put his foot back. The car zoomed forward. This time it was ASR’s phone that broke the silence. The urgency conveyed itself even in the vibration. He placed it on speaker, needing both his hands to maneuver the car. “bhai did you hear form di? Any idea yet?“, came Akash’s worried voice from the other end. It filled the confined space of the SUV with what had remained unspoken. Di was no where to be found. 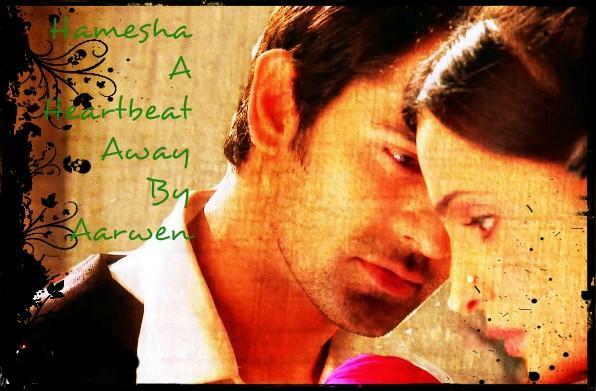 And ASR had no idea where to reach her. Akash confirmed he had. Then added, “bhai tell Khushiji her babuji is able to talk. The doctor has asked him not to exert, but after this initial break through the doctor is hopeful that babuji will recover soon. Payal wanted Khushi to know..“. “hum sun rahe hai jeejaji.. I heard you..“, Khushi spoke up. Her voice shook slightly. Her hand rose in quick fervent prayer. “hey devi maiyya“, she chanted. ASR slammed the breaks and faced her. “Shyam will pay for what he did. I will make sure he pays for it“. It was Khushi’s turn to nod this time. She had no doubt that Arnavji would do as he promised. As the car sped up a rising storm of dust left its trail behind. He was running, as if his life depended on it, when the second bullet had pierced the silence heralded by the first. This time a dissonance of shouts had played. There were more legs and a jumble of bodies moving towards that sound, but he still ran. He was too late. “main di ka khayal nahi rakh paya Khushi. I failed her“, inside, he felt as hollow as his voice. “don’t say that Arnavji. You know it is not true.” She said equally sincere in her denial. “How would you have known?“, Khushi asked extremely concerned at the agony apparent on his visage. Khushi helplessly watched. He was suffering. How could she forget the siblings sitting on the temple steps that day.. “hamesha ukhda ukhda“.. di had giggled finally, while singing the silly song.. nai devi maiyya.. nothing bad could happen to Arnavji’s di..
“humein bharosa hai.. di thik hongi.. wo aapse bahut pyar karti hai Arnavji.. When she has you by her side she will not need anyone else. Sab thik ho jayega“. Khushi meant it with all her heart. His strength, love and sheer will power made one feel strong in his presence. di would gain strength from it too. “kuch thik nahi hota hai Khushi Kumari Gupta. Kuchi bhi kabhi bhi thik nahi hota hai“. His face had grown grimmer if possible. Khushi cringed at the violence in his words. What could she possibly say to make it better? chal maiyya ke bhawan bhawan.. her phone sang loudly. In her nervousness the phone fumbled from her hands and fell down. She tried to reach it, but couldn’t seem to bend enough. She struggled harder, the phone continued to ring. She was scared he would get angrier. A strangled sob escaped her, that she tried to choke back. Still her fingertips could only skim the back of her phone, where it lay just out of her reach near her jaipuri silver jooti. He must have noticed and had enough. The car screeched to a halt. He leant forward and undid her seatbelt. “apna phone uthao“, his voice was grainy and curt. There was no flickr of smile in the hidden recesses of his eyes. There was only a rising tempest that unsettled her. chal maiyya ke bhawan bhawan.. Oblivious to the rising agitation in her, the phone continued to ring. “hayloo“.. She said into the mouthpiece. She was a little too lost to recognize the voice at the other end. The man was saying an awful lot of things and they did not make much sense until she jerked upright. Was he really saying..
“Ha Khushiji..“, the voice was familiar and comforting now that she knew who it was. She listened for a few seconds before handing over the phone to Arnavji. Happyji had said he saw buaji’s paying guest come in with the Raizada’s daughter. He had thought is strange that the man should return, specially when everyone was out. In fact, It was quite by chance that he was in the big courtyard. Buaji had instructed him to make sure the cows did not wander in to eat the flower decorations. He had been busy making sure no cow ate what it was not supposed to, when he saw the odd unwanted guest arrive. devi maiyya.. Aapka lakh lakh shukr hai.. Now they knew where di was. Arnavji would find a way to deal with all of this. They had been quite close to Lakshminagar when Happyji’s call had come. The SUV had grown wings and the few miles were covered in minutes. “Khushi call Akash. Tell him where Shyam is. Tell him to call the police. And stay in the car“. Arnavji ordered, as they made the final turn that would lead to their destination. “nai Arnavji I can’t let you go inside alone. hum bhi aapke sath jayenge“. She was all ready to insist. “shup up Khushi. I can’t risk it.. samjhi tum? tum gari mein rahogi and that’s it“. She shivered. The strict words had not masked the vulnerability behind. She persisted valiantly. “nahi hum aapke“..
“dammit Khushi.. Listentme.. Agar tumhe kuch ho gaya toh main jee nahi paunga.. So I need to know you are safe.. And I can focus on getting di..“, he held her by her shoulders and shook her slight frame. He had parked right in the middle of the narrow road outside the Gupta house and had slammed the door and raced towards the house. 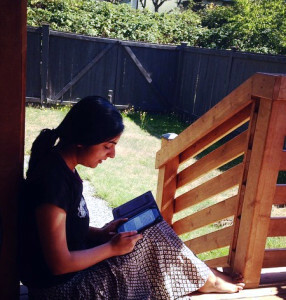 Anjali sat huddled tottering on the edge of a wooden chair. Should she be worried that she felt nothing? Absolutely nothing, staring at the man she had wanted to deify every moment for the part three years. She had worshipped this man.. At this moment it felt impossible..
Shyamji wore a maniacal grin as he polished the gun in his hand. He had proudly stated it was a colt 89. She wondered if that meant it would make death more painful or easier. Well, it didn’t matter. Nothing did. Had she really loved this fiend? Lied to her brother to come meet Shyamji. What had she hoped for? A miracle? How gullible was she really? When Shyamji called her, she felt like she had heard his voice after years. He had been sweet as ever and begged her to come outside. Meet her once. She had wanted desperately to believe that there was something he could say that would make it all better. “rani sahiba humein yakeen tha you would come with me. Humare bharosa ko nahi tutne diya aapne“. Her chair creaked as she shifted. In a flash, the gun was pointing at her, and the grin was replaced with a ruthless impassive stare. She meant nothing to him. There was no familiar flikr of recognition. There was apathy. She watched him. He stood a few feet away, but it felt like he had receded into a blurred past. His words reached her, but they evoked no emotion. The door swung open and ASR came to a halt. The gun from Shyam’s hand had swivelled towards the brother before returning back to the sister. 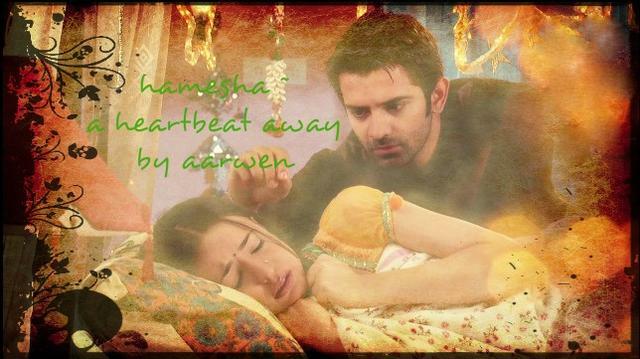 “I will rip you apart if you dare lay a hand on di..” , ASR spat out the words, but did not move a muscle. Shyam had grabbed onto Anjali by her hair and had the gun trained at her temple. The gun felt cold next to her skin. Hard and cold. Would death feel cold? Had her mother felt cold when she used a gun to take her own life, Anjali found herself wonder. “oh saale saab.. Don’t worry. If you can’t see me hurt rani sahiba, then I will kill you off first. Yehi thik rahega.. And don’t take one step further or I pull this trigger.” In an off hand manner Shad had threatened to kill Arnav. Kill chote? Her chote? The words found a way through the muddled haze of thoughts and awoke something primal in Anjali. She started to fidget. There was no way Shyamji could kill chote..
Shyam grasp tightened giving her no room to move. “Shyamji let chote go. I am here with you.. Let him go“, she was ready to plead. Ignoring her plea, the fiend continued. “What happens next is I kill you both. And Anjali will have her finger prints on this gun“. He thrust the gun into her hands, keeping it locked under him. ASR made a move evidently lunging towards Shyam, but Shyam had moved the gun at him. “chote stop..“, Anjali pleaded, terrified now. “I even had buaji’s key from last time. You do know I stayed here? Andar waha humara kamra tha.” Shyam continued talking. Anjali could hear the shehnai playing in her head. This man, who was training the gun at her chote was sitting on the temple steps asking her hand in marriage. She had sobbed and told him how her mother and father had taken their own lives. She had trusted him with the truth. And he was mocking it. How had she ever made the mistake of trusting him? Anjali almost wanted to smile. Her chote.. He never gave up.. Always the fire to beat the adversary. Always the desire to fix every broken thing. No.. Chote was bursting with life.. An evil man like Shyamji would not be able to touch him.. He was insignificant.. Strange enough for her, Anjali was certain that the night would not end with chote getting hurt. devi maiyya could not be this harsh..
With a deafening roar ASR attacked Shyam at the exact instant that the door opened further and Khushi came running in. “Arnavji.. di“.. Shyam’s concentration had flickered towards Khushi . The split second was enough for ASR to knock the gun out of Shyam’s hand, even as it struck ASR across his temple. “chote..“.. Di had pushed Shyam away with all her might, horrified to see the blood. ASR paused briefly to make sure di was fine, before he directed his wrath at Shyam. Vaguely he registered Khushi rush to di. He wanted to focus on Shyam. He wanted to see him in pain. Hell! He wanted to kill Shyam with his bare hands. Bring him unimaginable pain. Most definitely would have if Akash didn’t show up. “bhai.. di.. aap thik hai?” Akash had burst in with the police close behind. Things were happening quickly. They separated ASR from Shyam. 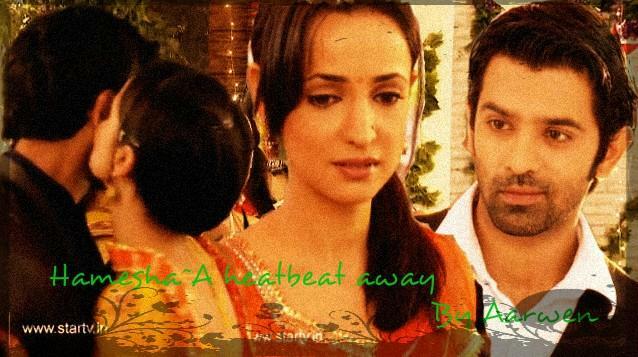 Khushi had come close peering at ASR’s cut. She lifted her dupatta to wipe of the trickle of blood, but he stopped her. “I thought I said tum gari mein rahogi“. “I reached at the exact time Arnavji.“, she flared up. “aapko kya lagta hai? Only you care? I don’t ? What if something happened to you or di.. Toh hum..“, her voice broke and refused to put the unthinkable into words. His temper had subsided. Full of tenderness his hand rested on her shaking shoulder. “shh.. I am fine Khushi“..
“no you are not.. ye.. ye khoon hai.. you are hurt..“, adamant and agitated she shook his hand away and used her dupatta to dab at the would. He let her. His eyes moved back to di. Akash had brought her a glass of water that she was taking sips from. di was okay.. di was in front of her.. The dupatta reached a particularly raw spot on the wound. ASR winced. Khushi panicked some more.. devi maiyya.. came a hushed whisper from her as she blew even more softly into the wound. His ma would do that when he would hurt his knee while playing. He felt bile rising from the pits of his stomach to the back of his throat. He forced himself to take a deep breath and swallow. His prominent adam’s apple bobbled down. Out of nowhere came a voice no one wanted to hear. One that had been laced with poison and greed. “rani sahiba humein maaf kar dijiye..“, Shyam had made a movement towards Anjali. ASR wanted to gauge his eyes out, but waited for di’s reaction. Did she still think this man was redeemable? Clearly not. Anjali remained unmoved. Unwavering and frozen, she calmly stared right back at her husband. The man who had been seconds away from killing her and passing it off as suicide groveled before her. She remained impassive. “saale saab think about it .. If I go to jail your di will no longer have a marriage.. Arnav humari baat suniye.. I .. I don’t know what came over me.. Stop the police.. Humein maaf kar dijiye.. Forgive me..“, he had flung himself on the floor and wrapped his hands around ASR’s ankles refusing to let go. “Get your filthy hands off me Shyam. If you want to stay alive get out of my sight“, he barely spared the sorry excuse of a man a single glance. “Arnav Singh Raizada does not do forgiveness. Take him away“. The police led Shyam out. His body had sagged. No longer playing the master mind, he was a broken weakling. He was nothing. It was all over. di was safe. He turned to look at his di. In a surreal slow motion, Anjali’s body swayed, before falling limp into Khushi’s terrified arms. sometimes such a hard blow needed to burst the bubble ..it’s better to be slapped by the truth rather than kissed by the lies..finally the man who trapped Anjali inside a bubble himself made her realize his true identity..
“it’s better to be slapped by the truth rather than kissed by the lies’.. well said gprs.. The whole day was a nightmare from Anjali and her chote.. but they will come out stronger. and like mamiji has declared.. wedding is till happening.. so see you there!